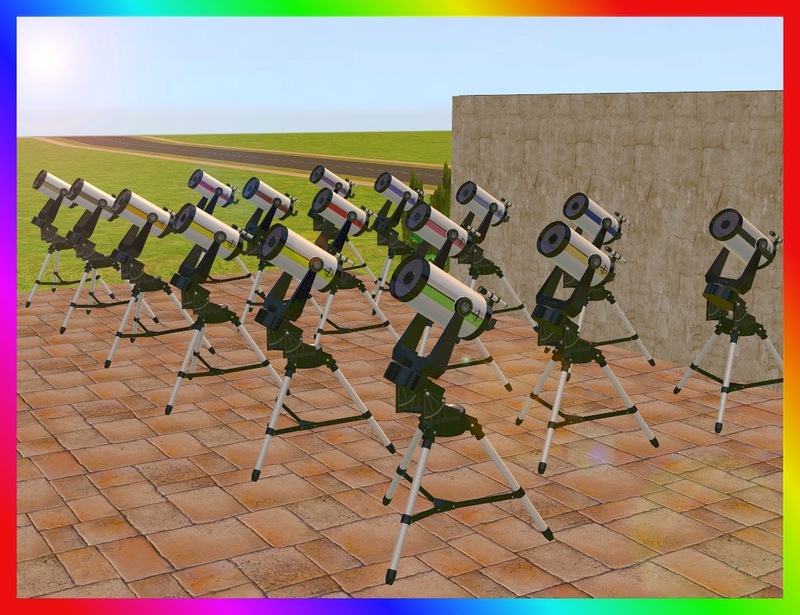 Included are 16 recolours of the expensive base game telescope. They come in colours black, navy, blue, indigo, purple, violet, red-violet, red, pink, peach, gold, brown, orange, yellow, chartreuse, and lime. Click the image for a larger screenshot. Enjoy!